Blue water and blue sky! 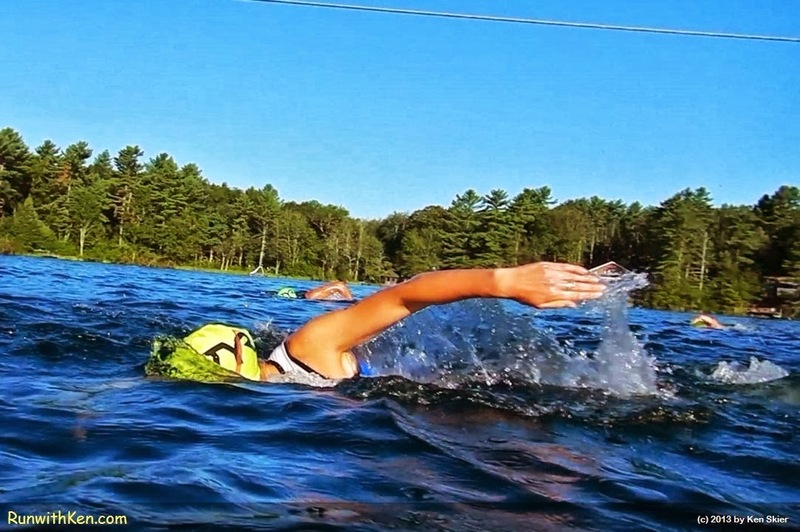 Open Water Swimming at the Cranberry Sprint Triathlon in Lakeville, MA. I took this photo as I was swimming.